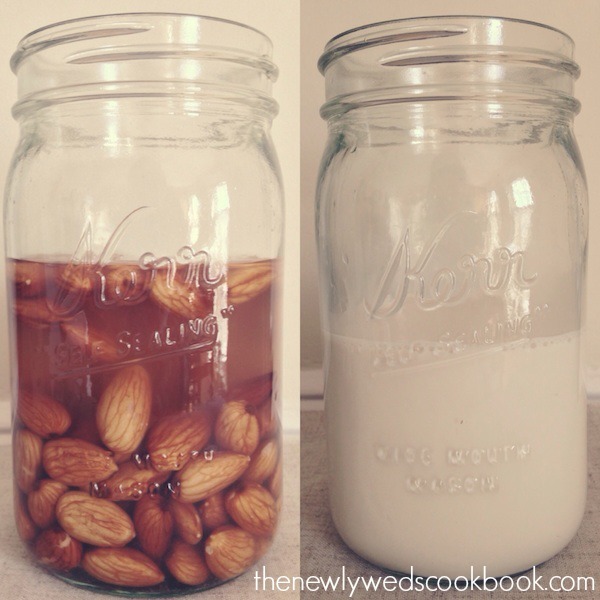 Last night, Forrest and I were talking about making our own homemade almond milk and if it was a possibility or not. I started doing some research online, and found out that it is fairly simple. And boy, let me tell you, it turns out phenomenal! 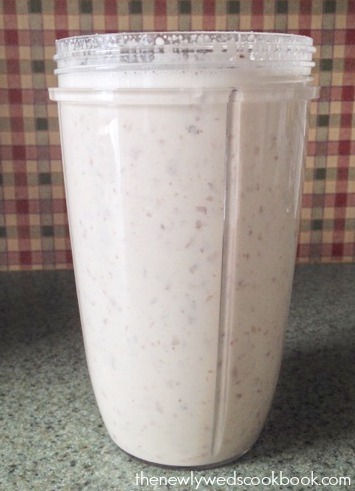 It has the perfect flavor and creaminess that almond milk has. Go ahead, do it! Report back how it turned out. 1. 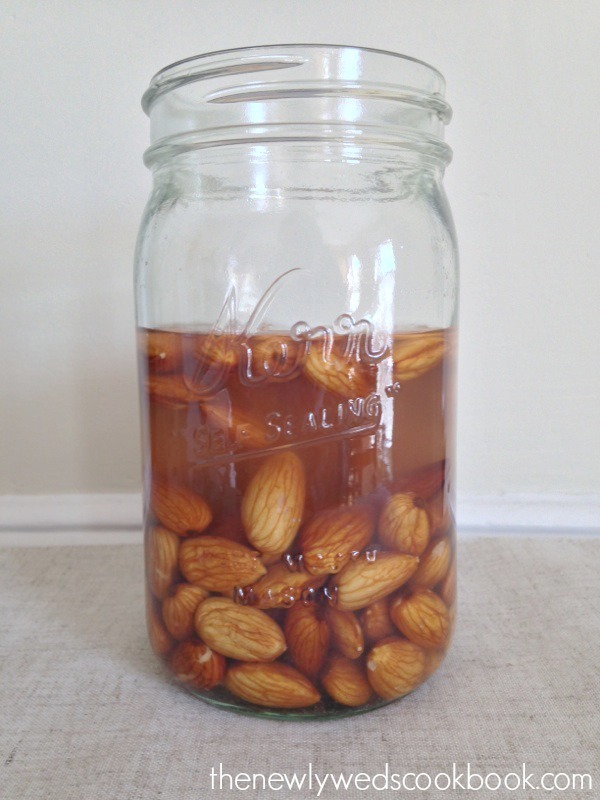 Soak the almonds in 2 cups of water, uncovered, overnight. 2. 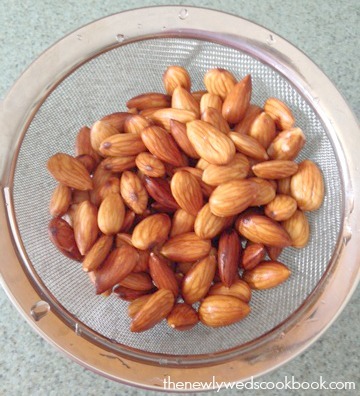 Strain and rinse the almonds. The almonds should feel squishy. 3. 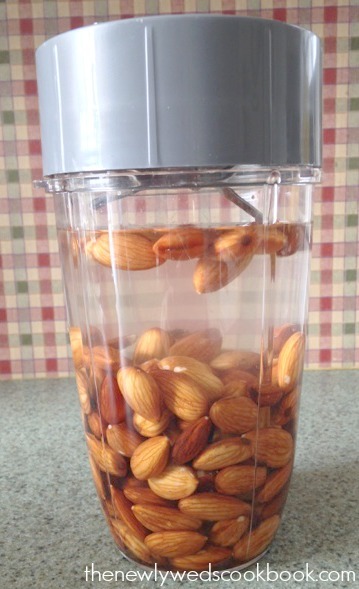 Place the almonds and 2 cups of fresh water in a Nutribullet, or blender. Pulse a few times, and then blend for about a minute or two. 4. 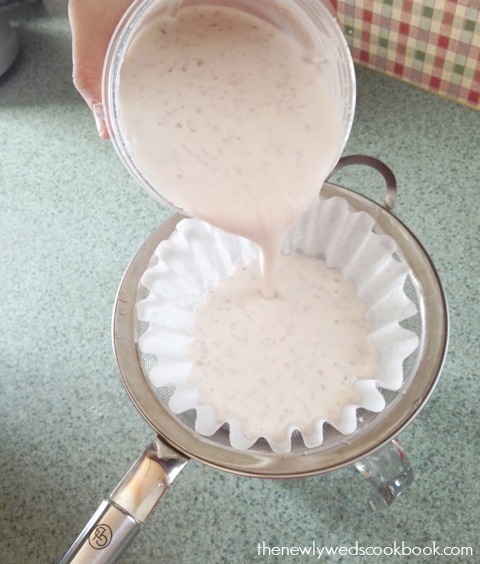 Now, using a strainer and a bowl, strain the pulpy liquid you’ve made. 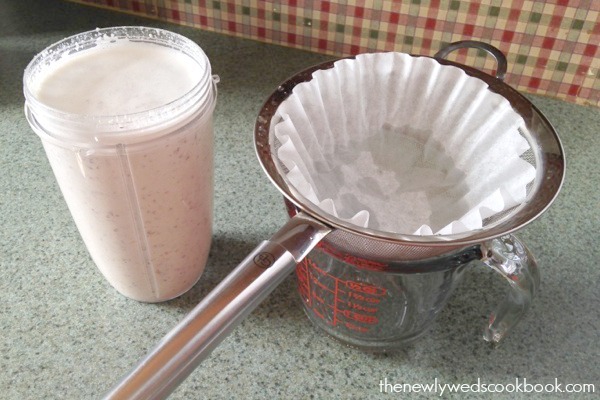 We used a coffee filter to put on top of our strainer to strain out the almond meal. This started taking a lot time, so we switched over to using a really thin kitchen cloth we had so that we could squeeze the milk. 5. 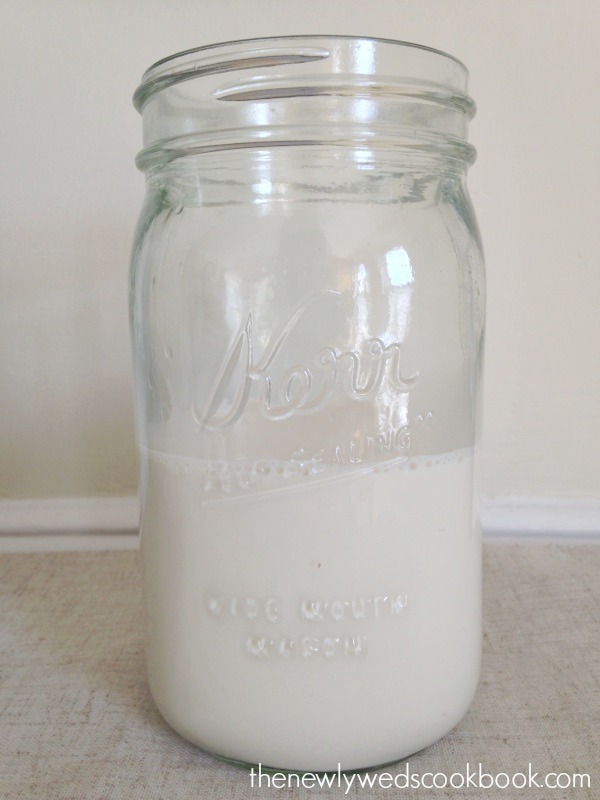 Now that you have your almond milk, you should put it in a container, or a mason jar, like we did, and stick in the fridge until you’re ready to drink or use it. *Stay tuned because we’re going to use this almond milk to make ice cream!